A fundamental guiding principle of BEST Early is early engagement of students in the research, discovery and innovation process. Simply put, we believe that students do not require four years of high school and four years of college before they are engaged in authentic research. There is no valid reason why students who drive cars, use computers, excel at video games, and navigate a host of modern twenty-first century technologies cannot also recrystallize solids, rotovap solvents, reflux reactions, separate mixtures, or operate infrared, Raman, UV-Vis and NMR instruments. The conventional approach and attitude about when students can participate in real research is outdated in today’s global innovation economy. It simply makes good sense, in a global economy dominated by science and technology, that actively engaging students as early as possible in research is not only smart educational practice but also a sustainable economic and prudent workforce development policy. (e) facilitating a sustainable culture of innovation, discovery and development. Our two major approaches to early research participation involve (a) curricular research during an independent research period (IRP) and (b) the non-curricular summer research period (SRP). Both have built-in systems of accountability: academic grades for the IRP and paychecks for SRP. Early Research Course: Mainly labs (75%, 12/16 semester weeks); 25% task (research) specific lectures. Integrated, continuous; critical thinking & analysis needed prior to next lab; students engage in forming, testing and modifying hypothesis. ‘dry labbing’ impossible. Research projects change annually. ‘Feeder’ projects for undergraduate, graduate and collaborative, interdisciplinary research. Learning by doing, hands-on, active, observing, measuring, interpreting, documenting, and reporting. 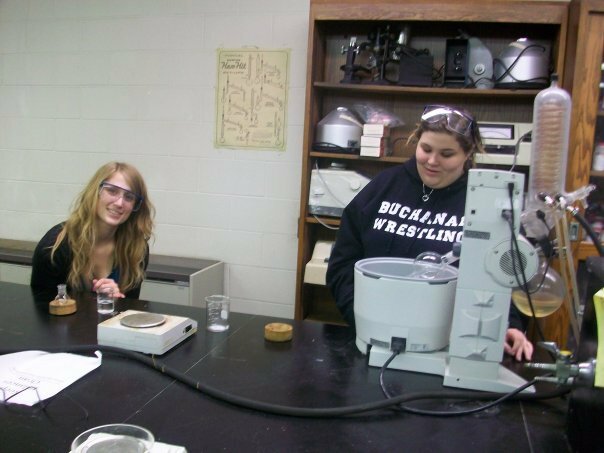 Early Research Course: Evaluation: topical worksheets, lab performance, lab notebooks, oral presentations, poster presentations, lab demonstrations, technical final report, research video, newspaper article, research symposium. 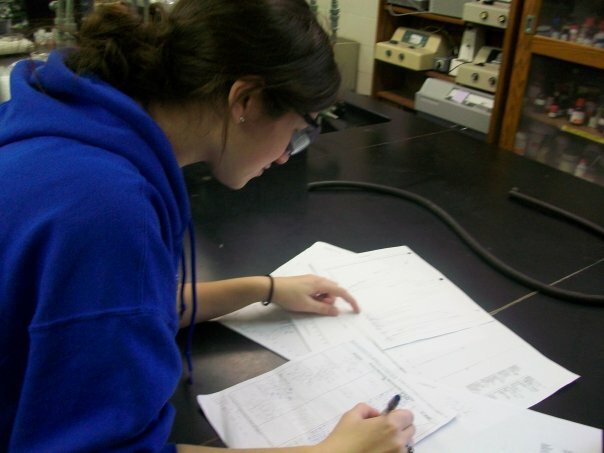 Early Research Course: Utilizes state-of-the-art modern instrumentation & equipment, such as, NMR, IR, UV-Vis and rotovap. Diversity of college-level lab techniques used including reflux, solvent-solvent extraction, and vacuum filtration. Early Research Course: Positive responses from students, colleagues, parents, elected officials and administrators; awards and recognitions received; media coverage.